Experience 30,000 years of civilization in 45 minutes! Experience 30,000 years of civilization in 45 minutes. 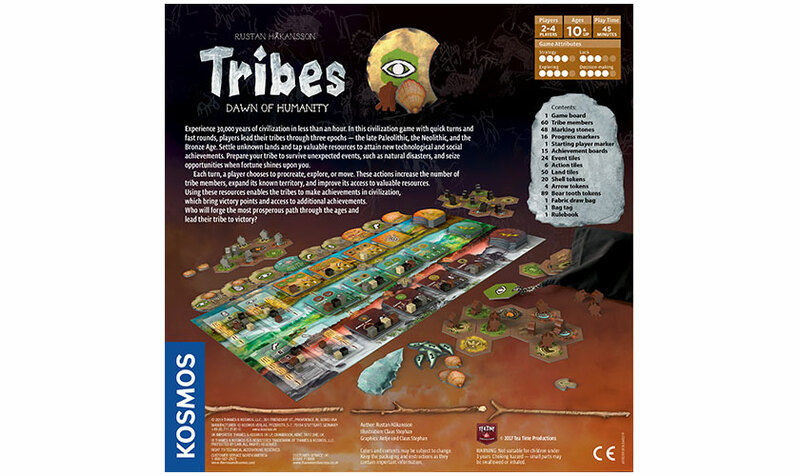 Tribes: Dawn of Humanity is a civilization game with quick turns and fast rounds. 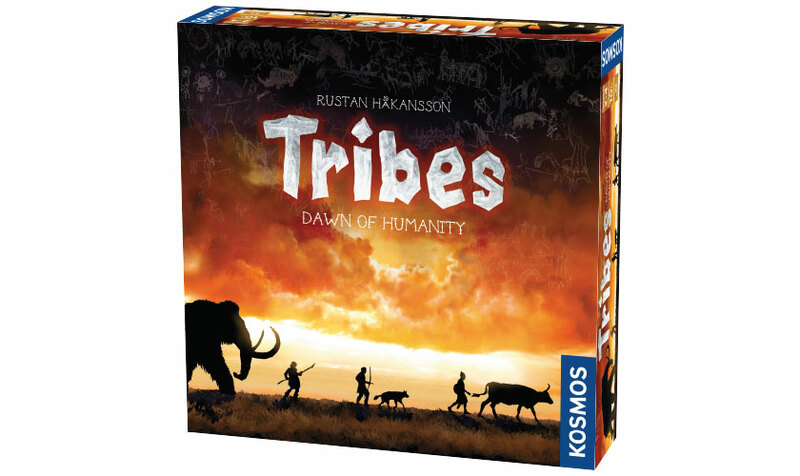 The players lead their tribes in short, fast turns through the early history of humanity to the Bronze Age. They settle unknown lands and extract valuable resources through which they in turn discover new tools and inventions. Who will best prepare their tribe against events such as natural disasters? Who will take the lead, and who will follow in the footsteps? 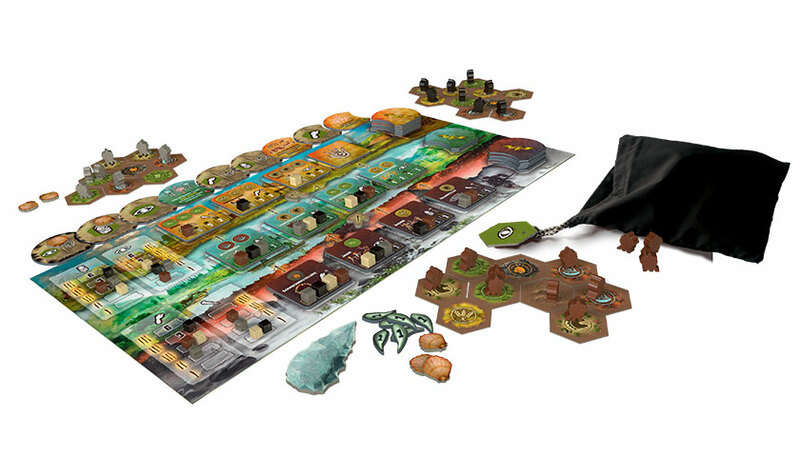 Each turn, a player selects an action from the action display: grow, explore, or move. The first action is always free, while additional ones cost valuable shells. The used action moves to the end and the next player takes another action. It is important to use your scarce shells wisely. The players start with a small tribe that can grow and become powerful as they are sent out to discover new lands and valuable resources. Who will be the most tactical leader and guide their tribe to victory?